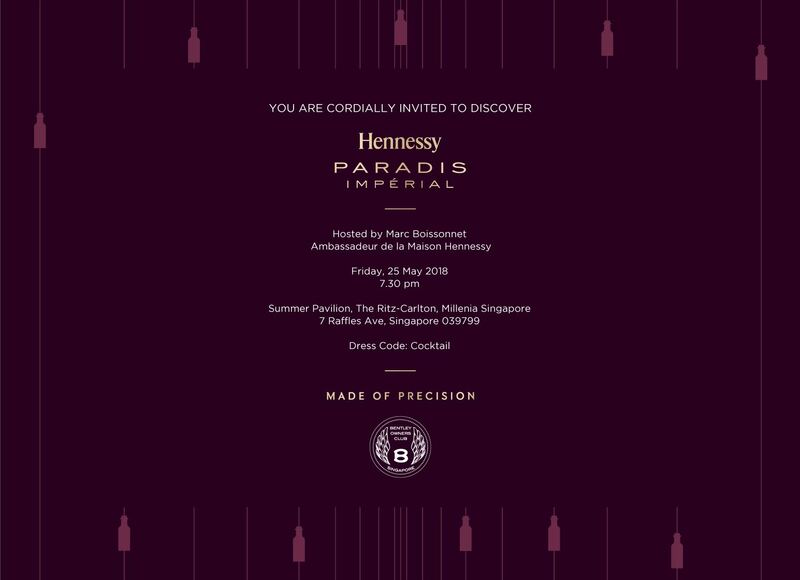 BOCS invites all members for an exclusive invitation to discover Hennessy Paradis Imperial hosted by Marc Boissonnet, Ambassadeur de la Maison Hennessy. Any cancellation in less than 3 Days before the event, a penalty of SGD 100 shall apply. Strictly no gate crash as restaurant will not be able to accommodate.